An easy-to-use therapy tool for transforming unhelpful belief patterns and envisioning positive change • Identifies 196 common beliefs per chakra that can be energetically realigned using the Healing InSight Method • Offers a tool set of therapeutic processes, affirmations, visualization, and bodywork for the practical application of the transformational belief realignment method • Includes 56 full-color, high-vibration chakra images, one for each main chakra as well as 7 additional empowering images for each chakra Working with Chakras for Belief Change transforms people’s unhelpful beliefs through clearing their chakras, raising their vibrations, and creating a fertile space for the New to come in. The Healing InSight Method presented in this practical full-color book is based on affirmations used together with individual chakra work and specific bodywork exercises, including techniques drawn from kinesiology, qigong, whole-brain integration, visualization, and infinity symbol exercises. 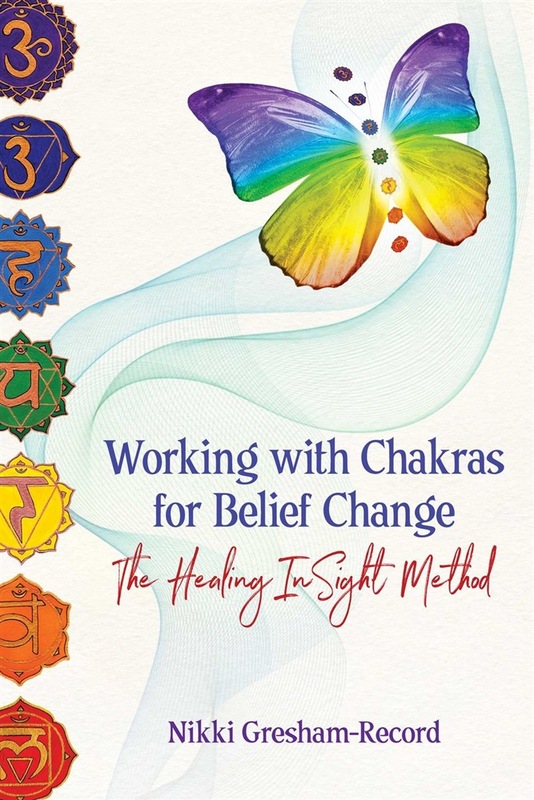 Psychologist and energy therapist Nikki Gresham-Record channeled 196 common beliefs for each chakra, 1,036 total, which can be fully realigned using this transformational system of complete mind-body-spirit healing. 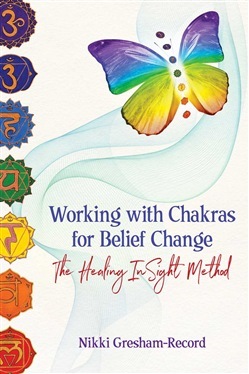 The author organizes the beliefs around the chakra system and explains how unhealthy beliefs can take root within the chakras and the body. She shows how her belief realignment method is capable of changing beliefs and their associated vibrations in the subconscious mind and energy body, thus enabling any blocks to dissolve and your system to open up to the opportunity for change. The 56 high-vibration chakra images included in this book can be used as a tool for therapeutic guidance as well as for positive manifestation. Each chakra is represented by a main chakra image along with 7 chakra aspect images, affirming potent qualities that we are all able to access when balanced and in harmony within ourselves. The artistry of the chakra images offers an immersion in the vibration of the empowering chakra-related beliefs and aids energetic resonance to help people feel good and begin healing. Also offering case studies and a life-review process to help the reader take stock of their situation before and after they begin the Healing InSight Method, Working with Chakras for Belief Change provides a gentle, energetic, yet potentially life-changing tool for personal growth and development. Acquista Working with Chakras for Belief Change in Epub: dopo aver letto l’ebook Working with Chakras for Belief Change di Nikki Gresham-Record ti invitiamo a lasciarci una Recensione qui sotto: sarà utile agli utenti che non abbiano ancora letto questo libro e che vogliano avere delle opinioni altrui. L’opinione su di un libro è molto soggettiva e per questo leggere eventuali recensioni negative non ci dovrà frenare dall’acquisto, anzi dovrà spingerci ad acquistare il libro in fretta per poter dire la nostra ed eventualmente smentire quanto commentato da altri, contribuendo ad arricchire più possibile i commenti e dare sempre più spunti di confronto al pubblico online.